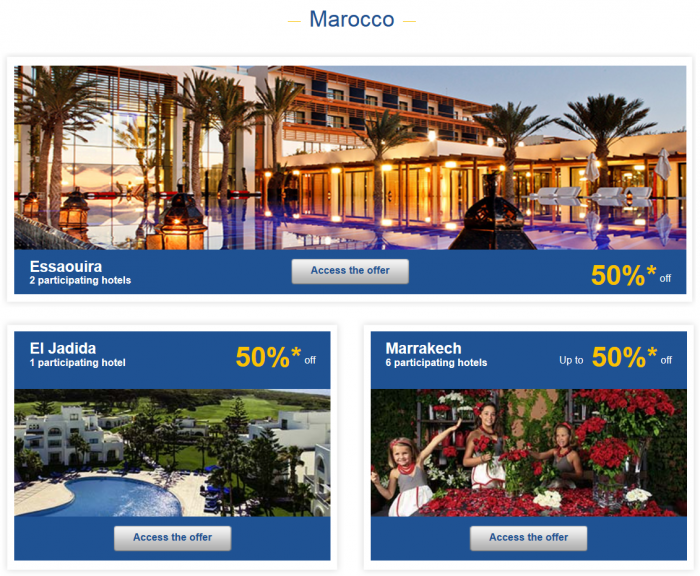 Le Club Accorhotels has launched new weekly Private Sale campaign for stays in Europe and North Africa at 30% to 50% off. You can book these changing properties every week from Tuesday to following Monday at the sale prices. Note that these rates are prepaid, non-cancelable and non-changeable. You must book minimum of 15 days in advance for a stay of 1 to 3 nights. The actual stay period until which the Private Sale rates are valid varies from property to property. I will have a weekly update on Tuesday about the sales that are valid for the current week. Seems that Le Club Accorhotels has joined Marriott and Starwood that have had weekly sales already for quite some time. Only time will tell how good this newly launched weekly Private Sale campaigns are. 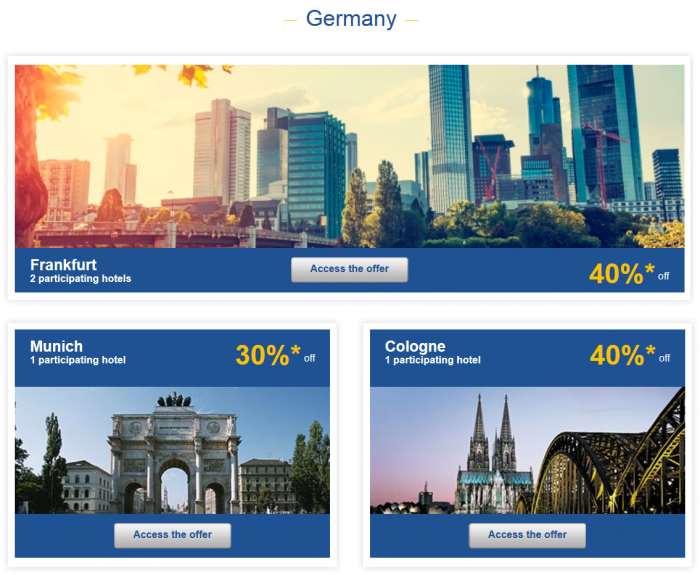 Nevertheless, if you are planning to visit any of the participating countries and/or cities, it definitely makes sense to check the prices under this Private Sale offer weekly. The offer(s) is(are) are available to members of the Le Club Accorhotels programme and/or to anyone who has created a profile on www.accorhotels.com. 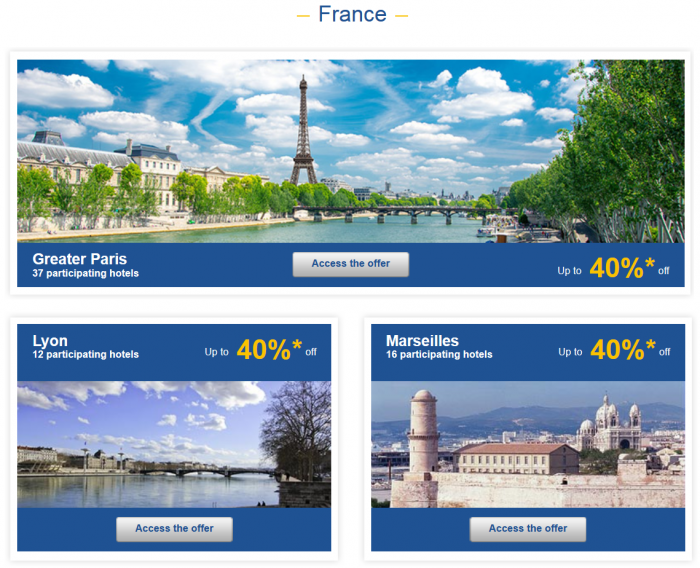 The offer(s) is(are) only available online on www.accorhotels.com for a period of one week, from Tuesday morning (12.01am) to Monday evening (11.59pm)— i.e. a period of eight days (as an exception, the duration of online services may be reduced to six or seven days for technical reasons). The stay cannot take place for at least fifteen (15) days after the reservation date of one or more offer(s). 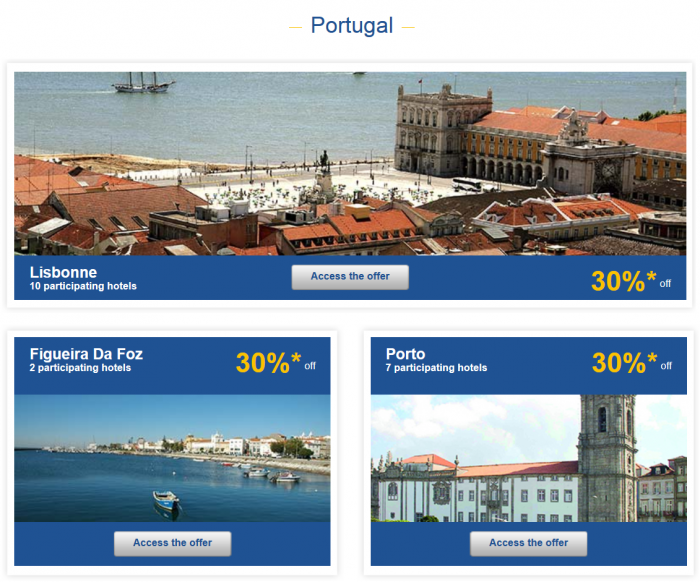 The staying dates can vary depending on each participating hotel. Customers can take advantage of a 30%, 40% or 50% discount on the FULL RATE, depending on the participating hotels and applicable on the dates selected when booking. The price displayed is valid for one or two people only. Offers are valid for minimum stays of one, two, or three nights, as indicated per hotels. 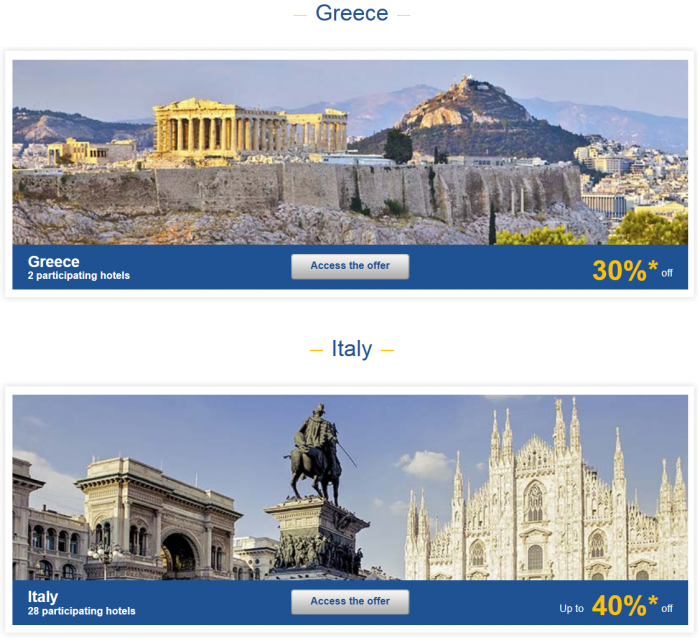 All offers booked must be prepaid online by credit card on www.accorhotels.com. 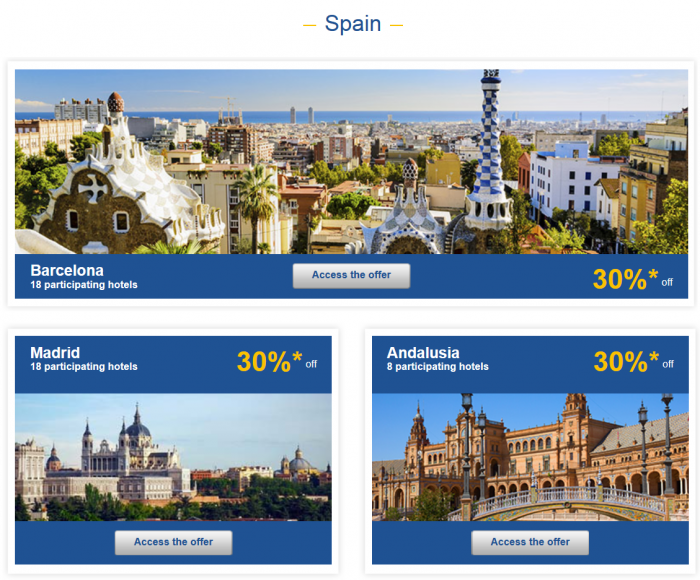 Offers cannot be modified, cancelled, or exchanged after booking. Nor can they be combined with other ongoing discounts or special offers. The exchange rate is supplied for information purposes only and without obligation. The rate will be confirmed when booking (if payment is made in a currency other than that used by the hotel, exchange fees may apply). All offers are valid in the participating ACCOR Group hotels and subject to the availability of the rooms included in the promotion.